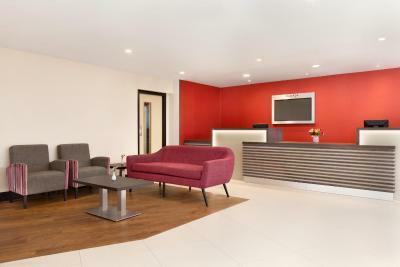 Lock in a great price for Ramada Bristol West - rated 8.6 by recent guests. Handy location, pretty quiet considering the location. Good value for money. Clean. Quiet. Good base for attractions if you don't mind bit of travel. Very friendly, helpful and attentive staff. Excellent food in the restaurant for dinner and breakfast. Wonderful breakfast. 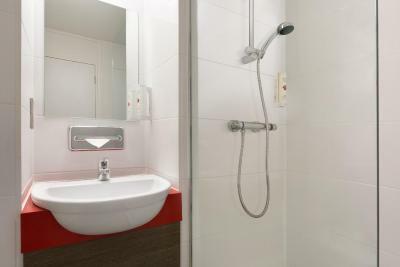 Spotless bathroom and room. 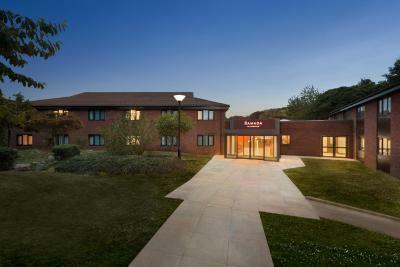 Convenient location - easily accessible from the motorway and less than half an hour's drive to Bristol. Quiet and peaceful, with no traffic noise. Friendly and helpful staff. 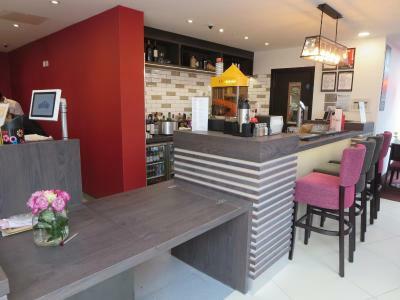 The general manager was extremely helpful and capable. Under extreme pressure she coped with serving and being on reception. The staff were all very friendly and helpful. 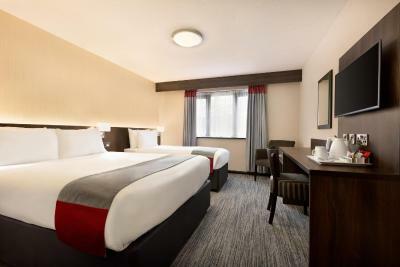 The rooms are large and, in principle, well equipped. Beds are comfortable. 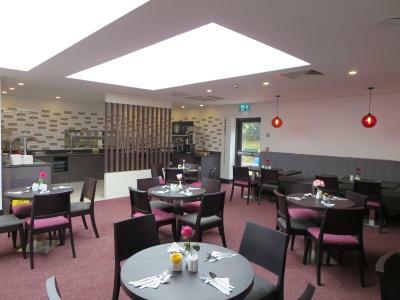 It was surprisingly quiet in the rooms given that the hotel is part of a motorway services. 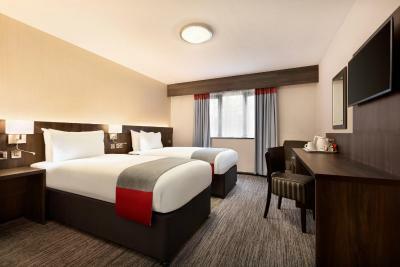 Around 15 minutes from Bristol city centre and airport, this hotel has free Wi-Fi and spacious rooms. 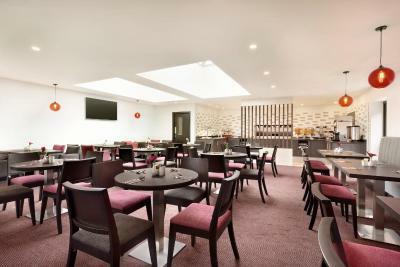 It is conveniently located beside the M5 motorway. 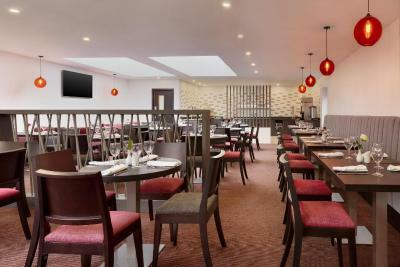 Ramada Bristol West provides great service, free car parking and a 24-hour reception. 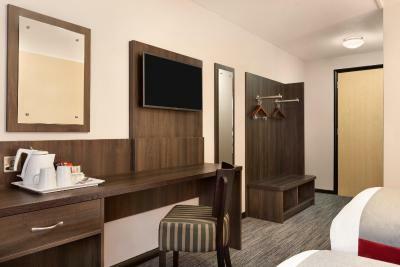 The en suite rooms have trouser presses, tea/coffee making facilities and flat-screen TVs with Freeview digital channels. A great base for exploring the surrounding countryside, Ramada Bristol West benefits from all the facilities of the 'Welcome Break' service station and its selection of popular food outlets. 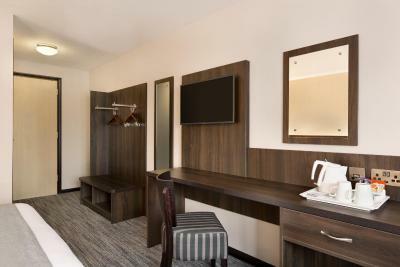 Local attractions include the SS Great Britain, Bristol Zoo and the Clifton Suspension Bridge. This property also has one of the best-rated locations in Easton in Gordano! Guests are happier about it compared to other properties in the area. This property is also rated for the best value in Easton in Gordano! Guests are getting more for their money when compared to other properties in this city. 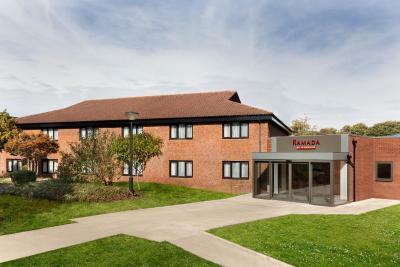 Ramada Bristol West has been welcoming Booking.com guests since 15 Sept 2010. 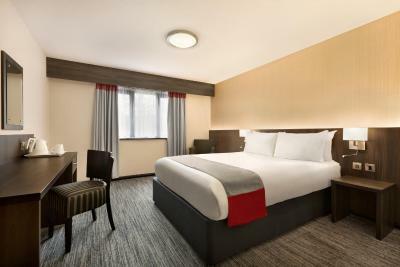 When would you like to stay at Ramada Bristol West? 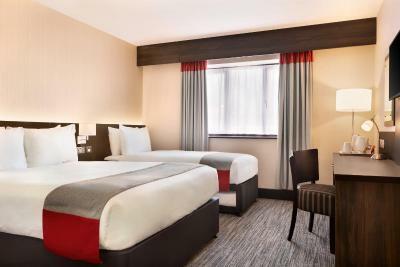 Family rooms include a double bed and a sofa bed (approximately 1.22 x 1.90 m). 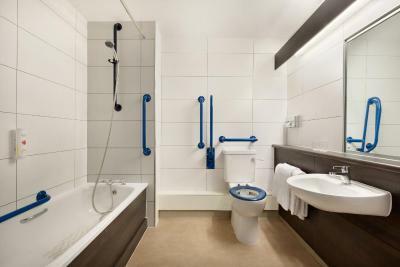 The rooms are suitable for 2 adults and 2 small children. 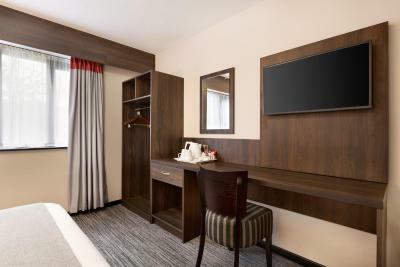 Each room has a flat-screen TV with Freeview. 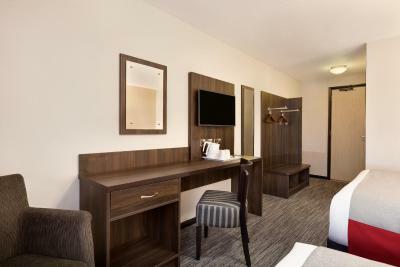 With an en suite bathroom, this Double Room offers free Wi-Fi. 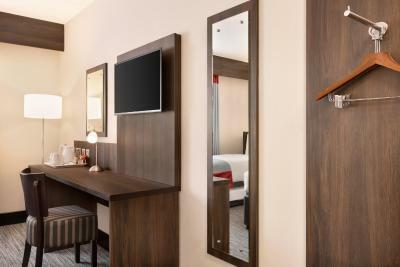 With an en suite bathroom, this Twin Room offers free Wi-Fi. 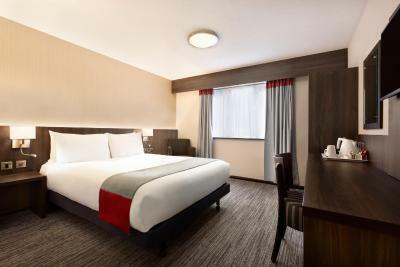 Our Hotel is ideally located on the main motorway links, so is easily accessible and ideal for your onward journey. 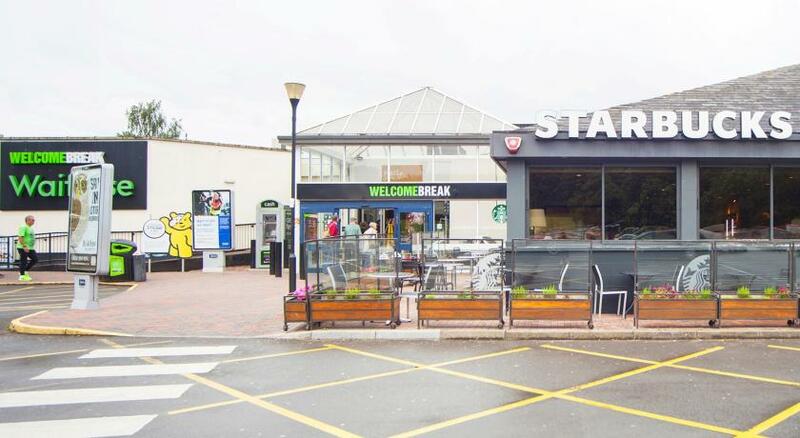 As we are on a Motorway Service station we have a variety of outlets such as KFC, Burger King, Subway, Starbucks & Waitrose for anything you may need during your stay. 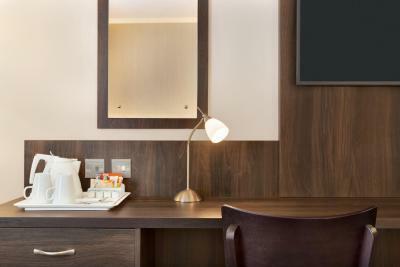 House rules Ramada Bristol West takes special requests - add in the next step! 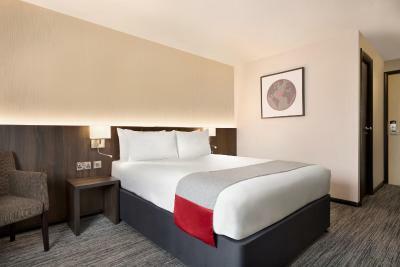 Ramada Bristol West accepts these cards and reserves the right to temporarily hold an amount prior to arrival. Booked room as it said it had a bath, was then told no rooms have a bath only showers! With a 1 yr old this was a pain. Was given a cot but no bedding. Shower working only with hot water (they offered another room, but in that room the AC had an error and it was cold in the room an the shower working only with warm water; we let it go, kept the first room and took the shower in the second one), the hand wash was empty and there were only one set of towels. They gave us the missing pieces but... come on... to many issues... Waiting time in the restaurant is very long with 3-4 tables occupied. 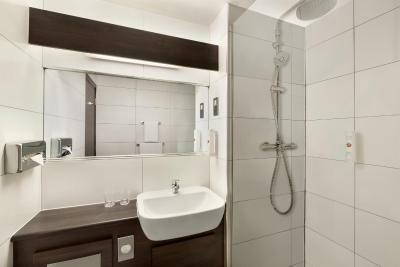 It was very clean, very modern, nice beds, nice food in the restaurant. Restaurant staff also manned the reception. After waiting 5 minutes my wife had to go and collect our starters from the pass as no staff were in the restaurant. Very noisy guests in the room on the floor above in the early hours of the morning, load music and moving of furniture. Breakfast was on the cold side of lukewarm - so eat early or don't bother. Advertised as having a bath, only to be informed when we got there that they don’t have any baths in the hotel! We had to wait ages for our dinner but when the food came it was nice. The worst thing was breakfast in the morning. We were charge £10 per person and there was no bread out, no milk, no sausages and bacon. We had to ask for each thing individually and were just told by a staff that there would be more coming. We ended up waiting 25 mins for more food to be put out. There was no cutlery on the tables. There was no sauce so we had to ask for another bottle to be brought out. When we eventually got some food it was ok but really not worth the wait. 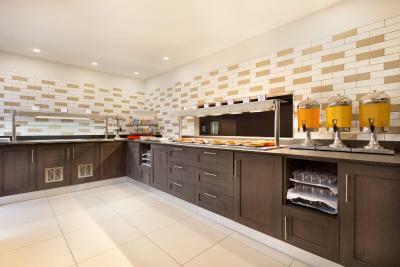 I have never had such a bad experience for breakfast in any other hotel. Last of all we were woken at 8.49am by a loud knock on the door by the cleaner asking if we wanted our room cleaned! We had 3 rooms booked for 2 nights for us and our family. In each room we were only given 1 towel for both nights it seems that if you didn't jump out of bed before 9am you missed you chance to have another towel brought to you. Fruit selection at breakfast was poor and there was no evening meal on Sunday night. The heating in the room could not be controlled earlier in the evening but was good when it came on. The put up bed was very uncomfortable. Springs sticking out of mattress. No fridge. Wrong room on arrival then had to make up one of kids beds ourselves, but was quickly sorted out, not really an issue considering cheap cost of hotel. Booking.com offered us two double rooms to accomodate three adults, yet we ended up finding an extra bed in each of the rooms. 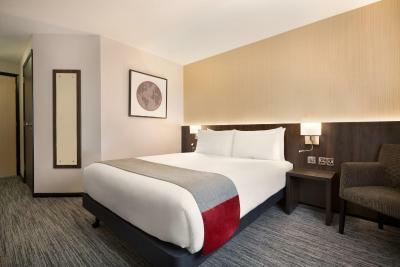 We could have easily booked just one room and saved some money. 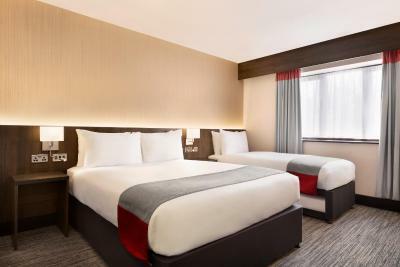 If you're ever in the same situation, best check with the hotel to make sure there is an extra bed in your room, if you need one.